brands, to Stanley Black & Decker. April 15, 2016 completion of the Jarden Corporation acquisition. Rubbermaid®, Contigo®, First Alert®, Waddington and Yankee Candle®. every day, where they live, learn, work and play. 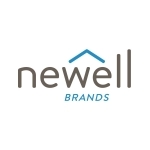 available on the company’s website, www.newellbrands.com. receives with respect to these factors is complete or correct.